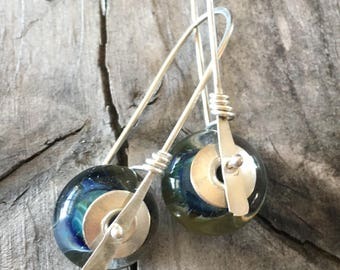 Here at Elesha Design, the focus will be on lampwork beads and handmade findings for jewelry making. The photos show the beautiful colors but do not reveal the scintillating shimmer. Beautiful! Gorgeous beads! And they were shipped very quick, and packaged wonderfully. Thanks so much! Beautiful beads, just as pictured! Will be buying more, thank you! We love our mothers sale! Happening now through Monday. 10% off everything! Hi friends! Just wanted to give you a heads up that the bead shop will be closed for spring break. Closing Sunday March 18, reopening Monday March 26. Also, take advantage of free shipping on orders over $25! Cheers! I’ve been trying to put together more orphan bead sets. It seems I always end up with a stash of beads that don’t make the matching set. These sets are a great way to get a variety of beads for a great deal! I love to get out in the studio and play with glass. I have three children, 8, 5 and 3, and by the end of the day when my husband gets home from work, the studio is calling my name. It's a place to unwind, and get creative. My husband Josh has been blowing glass for nearly 20 years and sells his work at some of the best art and craft fairs in the country. I have been bead making for over 10 years and have sold my work here on Etsy, eBay, and a local art and craft fair in Ashland, Oregon. 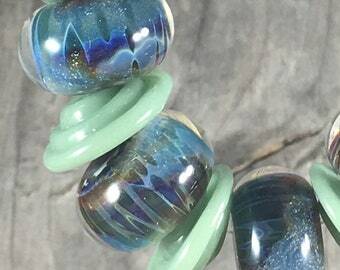 I mostly work with borosilicate glass, (boro); this type of glass is known for its stregth, durability, and mysterious colors.